Graphic Communication & Design graduate, this is a few words on design, culture, and anything else that catches my eye. 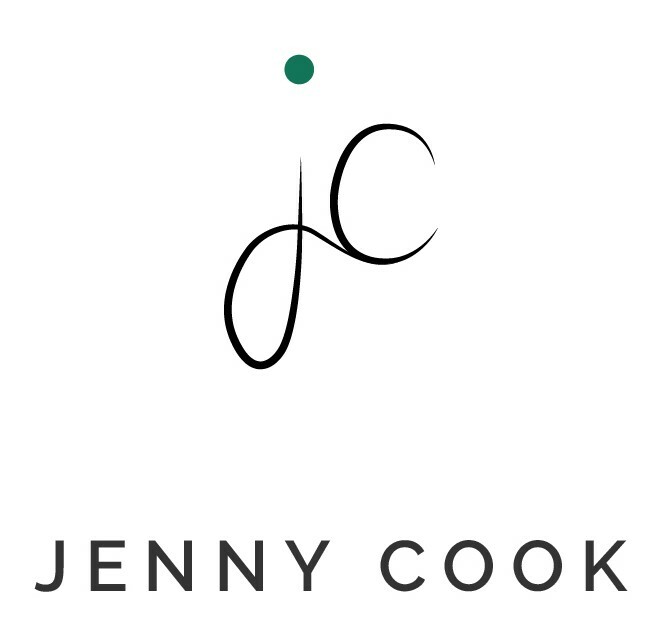 Find out more about me and my work at www.jenny-cook.co.uk. The face of communication in the UK is changing. 71% of consumer phone users have a smartphone and the way in which we use them isn’t just changing the speed with which we can get in contact with people but also the way we interact with the real people face-to-face. Screen oblivion is an issue that interests psychologists, doctors, councils, police, parents and friends, and that’s just the start. Why such a diverse range of people? Because technology facilitated through the screen of a smartphone has infiltrated every corner of social interaction, especially among those deemed the ‘digital natives’. Smartphone use in society is a hot topic of conversation, not least when considering the safety of people using them in public. 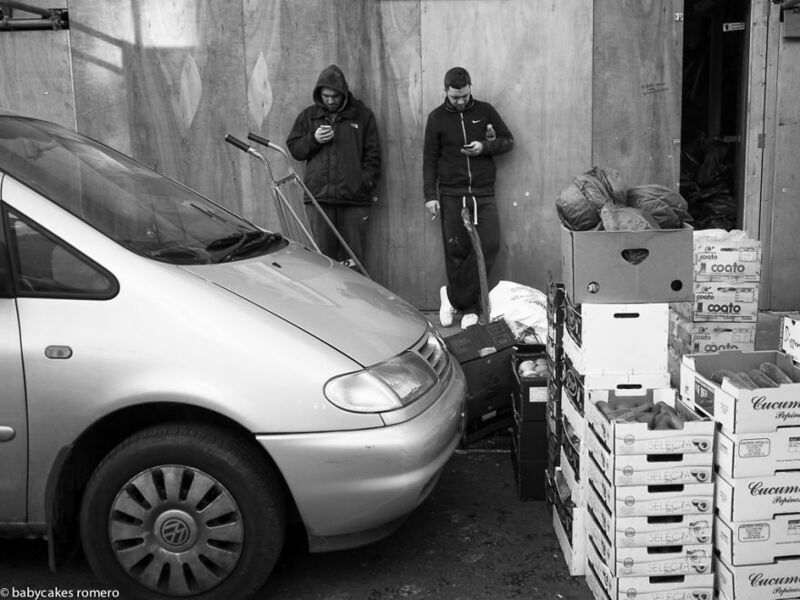 The subject of this post focuses around street photographer Babycakes Romero’s project entitled ‘the Death of Conversation’. Romero sees a beauty in the symmetry shown, if one person is on their phone, another is likely to be and the odd photo shows one person stood, gazing into space as if alone when in reality they are in the company of others. This demonstrates a certain sadness, these photos are not an unfamiliar sight in our society; in fact I’d challenge anyone to walk down a city street for ten minutes and not see this multiple times over. When people are alone, bored, feeling awkward or uncomfortable then they take their phone out of their pocket, unlock it and scroll through messages, social media, photographs… anything so they do not look like they are alone. 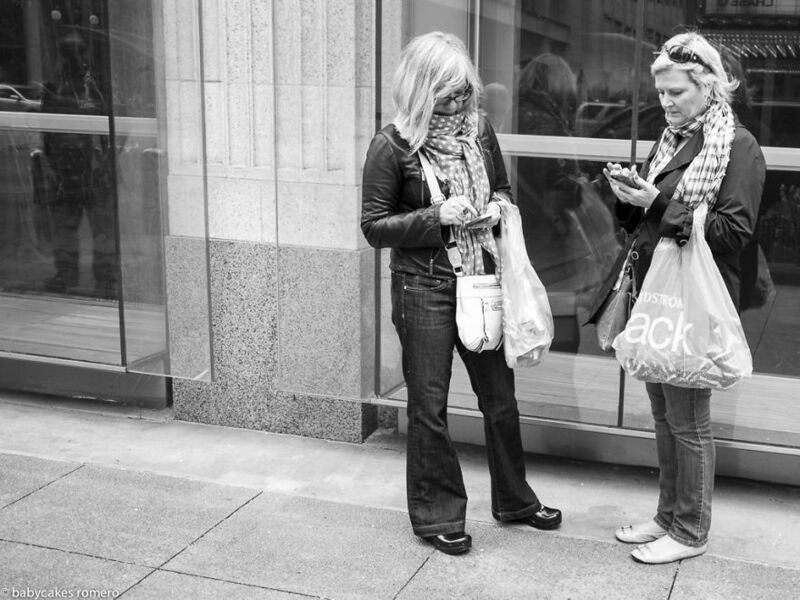 People are so plugged in that they would rather look at a screen than the environment they are walking through, or the friend they are spending time with. They’ll pull their phone out to browse what their online friends have been up to when sat in front of their real friends. 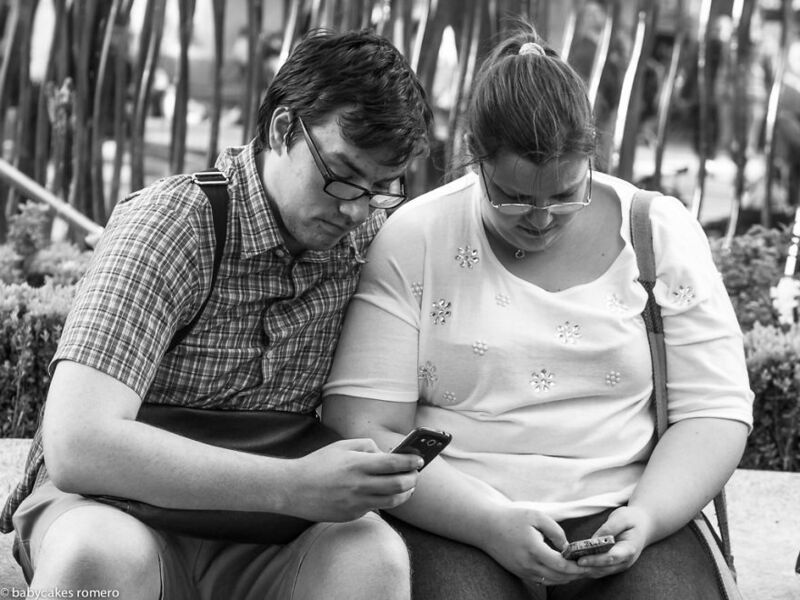 People sit in restaurants with their partners, but with their phone sat lying face up on the table next to them; they go on holiday to exotic places but waste valuable time checking what friends back home ate for lunch that day; parents alienate their children by prioritising a text and colleagues are too invested in what their Twitter feed tells them than building meaningful relationships with colleagues. What does this mean for human relationships? We are spending time, the most valuable commodity we have, investing in other people’s screen-lives and false selves; a photo is worth a thousand words, but the smiles could be fake and plastered on to show people ‘what a good time they’re having’. The biggest problem lies in when we do this when around other people. 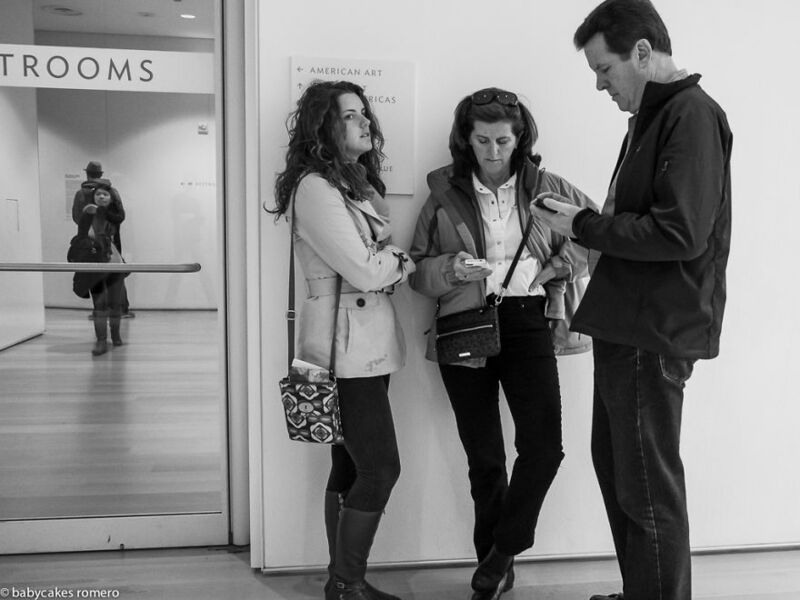 Every person in Romano’s photographs has left the house to interact with people, yet most are choosing to interact with a screen instead of the person in front of them, their attention is in another place and the attitude given is that the person on their phone would rather be somewhere else. 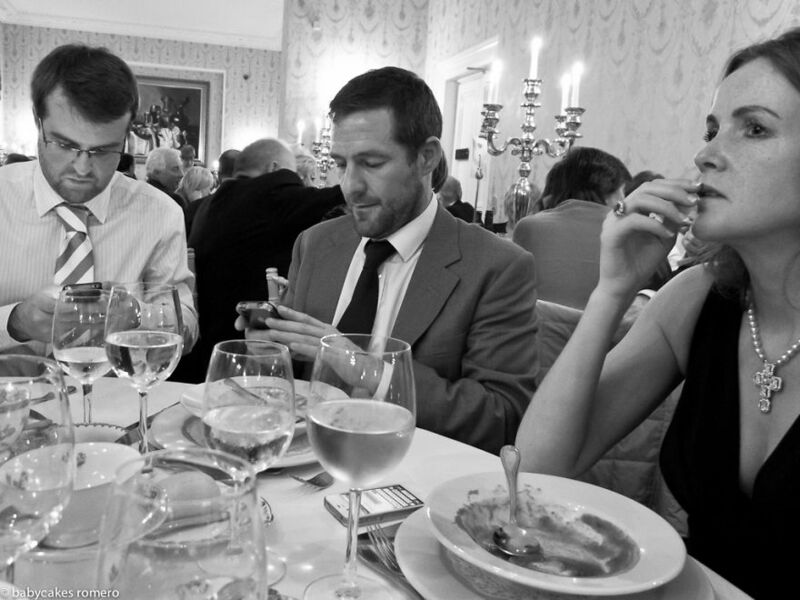 People are beginning to crave a release from technology and with little wonder when one can invite their friend to dinner yet still feel like they are dining alone. I decided to spend a week tracking my own smartphone use, conscious that I probably spend more time on the device than I should. Although the results were interesting, it’s worth noting that they weren’t reflective of my total screen-time, as I also use a laptop and often an iPad throughout the day. I was still surprised at my results: On average I was spending 100 minutes a day on my phone, a solid hour and a half; the highest was 138 minutes and the lowest was 46. Predictably the busier I was the less I used my phone but it still seems like a crazy amount of time to be wasting looking at a screen the size of my hand. I also used another app to see how often I was checking my phone throughout the day; the lowest was 42 and the highest 96. I’ve also noticed that despite feeling uncomfortable about having apps ‘watching’ my phone use, I’ve started consciously noticing and using my phone less in social situations. 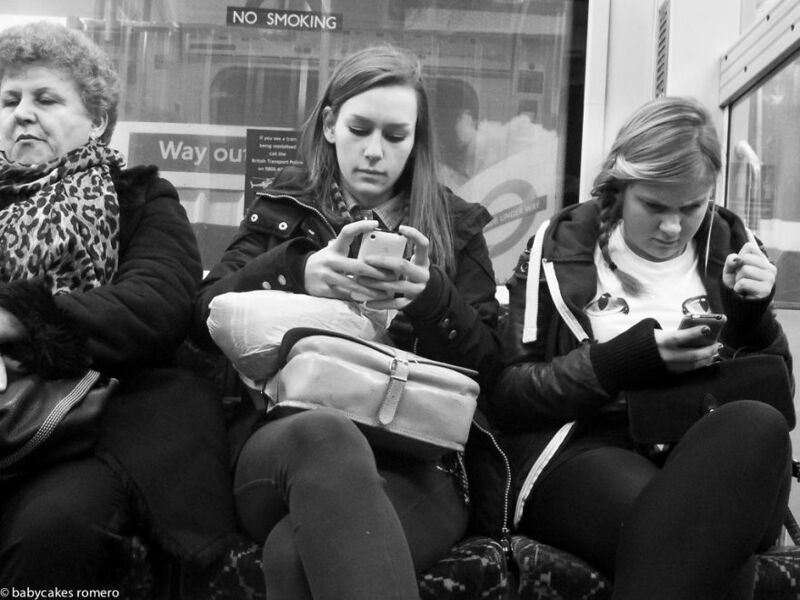 Interestingly there is a conflict about whether using your smartphone around others is ‘good’ or ‘bad’ manners. I’d argue that those who think it’s good manners are possibly more attached to their smartphone than to those with whom they are spending (screen)time with. It will be interesting to see whether there will be a shift in social etiquette that frowns upon phone use, especially that of browsing social networks, around other people unless absolutely necessary. There’s a huge amount of potential in the time you set aside to spend with people and it’s time to value face-to-face contact over face-to-screen. Posted on June 25, 2015 by jccreativeblogging. This entry was posted in Uncategorized. Bookmark the permalink.